DENMARK: Dong Energy's 209MW Horns Rev 2 project is offline following a cable fault, Danish transmission system operator (TSO) Energinet.dk confirmed. 20-Oct Update: Energinet.dk said a failure was located 800-metres from the offshore platform and repair work was being prepared. Estimated repair time of approximately one month, weather dependent. Electricity market Nord Pool Spot estimates the project being back online by 25 November. The fault occurred at 1.56am central European summer time on 19 October. Energinet was unable to say when the project will be back online. "It is still too early to say how the error occurred," the TSO said. French cable firm Nexans supplied the cable to Horns Rev 2, according to WPO Intelligence, the research and data division of Windpower Offshore. Horns Rev 2's export cable is 42 kilometres long, making landfall at Henne, west Denmark. Dong's five-year-old project is currently undergoing a blade upgrade. In January, the developer asked manufacturer Siemens to carry out a retrofit on the 91 2.3MW turbines. Work is scheduled be completed by summer 2016. The outage at Horns Rev 2 coincides with cable replacement work due to start on 26 October at Dong's Anholt offshore wind project. 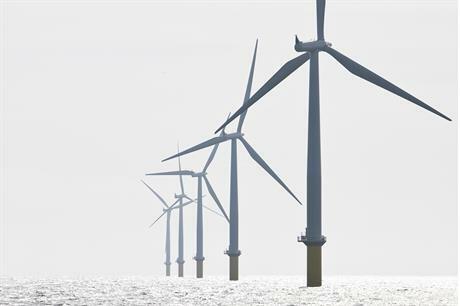 The 400MW Danish offshore project suffered weeks of downtime due to a cable fault in February. Cable manufacturer NKT replaced the faulty section of cable in March and an independent authority carried out tests on the removed part. Following the investigation, Energinet and NKT agreed two further sections — one in the initial 400-metre stretch of cable from land and another in the last four kilometres approaching the offshore substation — carry a "risk of the same error" and should be replaced. When asked by Windpower Monthly, NKT and Energinet would not reveal the nature of the fault. The replacements, expected to take five to six weeks to complete, were due to begin at the end September. However, the work was later deferred to allow NKT necessary time to prepare. Energinet said the work should be completed by 23 November, weather permitting. Under Danish law, Dong will be compensated for lost operation time at both projects.